Readers are invited to urgent aspects and the views of leading national and foreign experts on targeted issues publications. Authoritative editorial board of the journal "Reproductive Endocrinology" admits to print only the relevant materials on the basis of the positions of medicine. Journal is regularly printed materials that translated foreign authors and reviews based on recent publications in leading international journals, the presentation of the most important recent clinical guidelines and consensus of international importance, articles review based on foreign materials, comments of national experts. The rapid development of information technology has given impetus to the modernization of the educational system in general and in medicine in particular. The new millennium was marked by the emergence of programs that could algorithmize and systematize terabytes of information from various sources, adapt and translate arrays of information into simple, accessible visual objects. This is where the Augmented Reality (AR) technology is built. AR is a term designating all projects aimed at complementing reality with any virtual elements. Printed publications are a separate direction for using augmented reality. In the press, this technology has found its place in presenting relevant news, reporting, interviews, advertising, etc. However, today no medical journal in the world uses the augmented reality. And only the publication P.L. 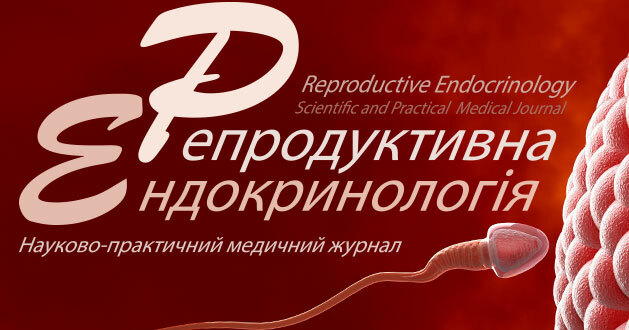 Shupik NMAPE and NAMS of Ukraine, in particular the journal “Reproductive Endocrinology”, for the FIRST time begin the program of application of AR for their printed materials. In the magazine “Reproductive Endocrinology” the doctor will be able to not only read about pathologists and see a normal photo, but also reproduce the video of the process of diagnosis or treatment, and consider the image in three-dimensional 3D form. Thanks to AR-technology, separate articles of the magazine with a special note will allow to expand the reader's possibilities in obtaining and perceiving information. 1. To get started, you need to download the Accemedin AR program to your smartphone. You can find it yourself on the AppStore sites for iOS and Google Play for Android, or scan the QR code and follow the link. 2. Before starting the program, you need to make sure that the camera is working on the smartphone. 3. After launching the program, point the camera at the object with a special note and view the information in augmented reality. Науково-практичний журнал «Репродуктивна ендокринологія» розпочинає тематичний освітній цикл «Практикум для вчених-медиків», присвячений наукометричному аналізу, без якого неможливе ефективне управління наукою на сучасному етапі та інтегрування вітчизняної науки в європейський та світовий дослідницький простір. Впровадження цієї рубрики викликано необхідністю розповсюдження спеціалізованих знань серед науковців, практичних лікарів, керівників у галузі охорони здоров’я, які беруть участь у наукових дослідженнях та публікують їхні результати в наукових виданнях. Проведення практикуму має на меті покращити обізнаність фахівців щодо принципів наукометричної оцінки результатів наукової діяльності та практичного використання основних показників наукометричного аналізу. Международные наукометрические базы. Что нужно сделать? Борьба за признание в мировом научном мире требует системного подхода. В частности, мы надеемся, что наших читателей и авторов воодушевит проводимая в настоящее время редакцией журнала «Репродуктивная Эндокринология» работа над вхождением в ведущие международные наукометрические базы и каталоги. Современный ученый должен быть зарегистрирован в международных базах данных. Прежде всего речь идет о получении международного идентификатора ученого ORCID (http://orcid.org/). ORCID (Open Researcher and Contributor ID) – это реестр уникальных идентификаторов ученых, упрощающий поиск исследовательских работ авторов.